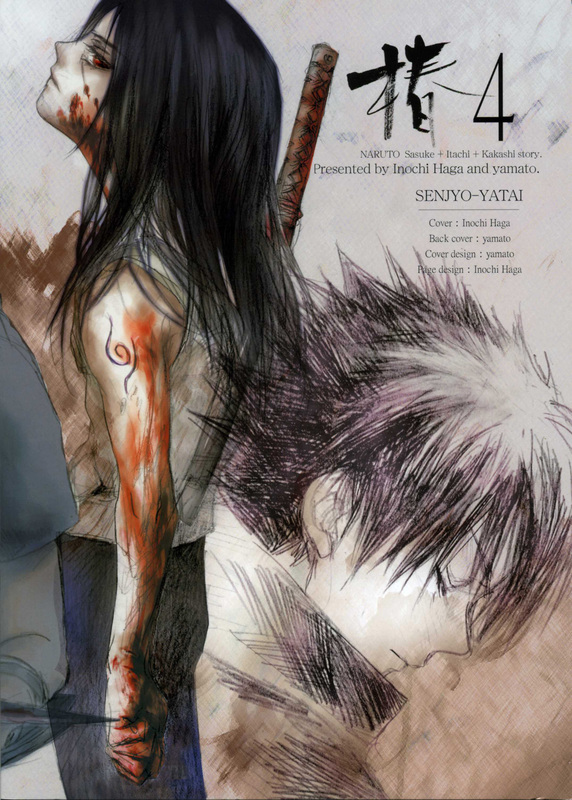 Minitokyo »	Yatai Senjyo Scans » Yatai Senjyo: "Tsubaki 4"
The back cover of the 4th volume of "Tsubaki" - "Naruto" doujinshi series by circle Senjyo Yatai (Inochi Haga & yamato). Art by yamato. Awesome! Thank you for sharing! It's really beautiful! awesomme scan, i like this ;D thanks!